GEORGETOWN, DE – Monster Trucks return to Georgetown Speedway on Friday and Saturday July 5-6. 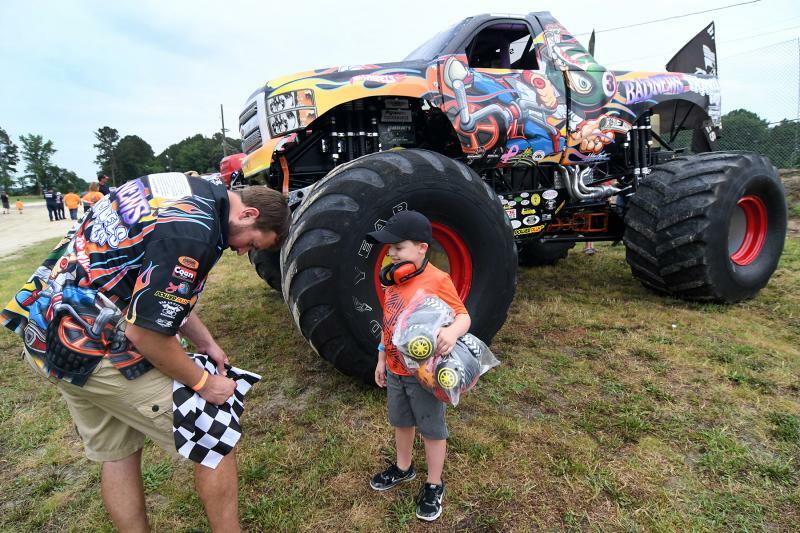 After a near sellout crowd and extremely successful debut in 2018, the Monster Truck Racing League (MTRL) brings its thrills and spills back to the Sussex County facility with two complete ‘Monster Truck Madness’ shows presented by BetterTitleLoans.com. Nationally known BIGFOOT and Snake Bite will headline each night’s event, leading a full cast of powerful Monster Trucks completing jumps, drag races and the ever popular Freestyle Competition. New for 2019: as seen on television with Monster Jam, Quad Wars will bring their own excitement. Tickets are now on sale for both nights of Monster Truck Madness at $20 for Adults, $10 for Kids 6-12 and Children 5 and under are FREE. Those purchasing tickets in advance will receive a free gift from the speedway and can enter the grandstand area 30 minutes prior to the gates officially opening to claim their seats. All seating is general admission, with pre-sale ticket holders allowed early entry. Both nights include a pre-event Pit Party, Monster Truck rides, post-show autograph sessions, giveaways and more. Parking is FREE of charge. Award-winning food from Fat Daddy’s BBQ will be on sale along with ice cream, beverages and novelties. For both Friday, July 5 and Saturday, July 6, gates will open at 5 p.m. The Pit Party takes place from 5:30-6:30 p.m. and show time is 7 p.m. The events will go on rain or shine.